CCS Interior Design Group, Inc.
CCS Interior Design Group, Inc. is one of Chicago’s most innovative full service licensed interior design firms. Which is conveniently located within the downtown Magnificent Mile district. We specialize in high-end residential and commercial interior design. 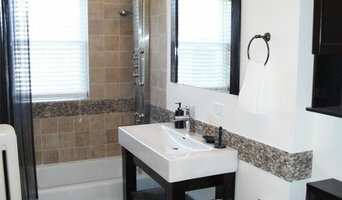 Our expertise comes with a creative and professional team of interior designers and contractors. Our team understands the importance of meaningful design solutions that leave lasting impressions. We understand that you are making an emotional and financial investment when it comes to your design needs. Whether you are having challenges as an empty nester, rehabbing your existing home, building a new one, staging, or making a move to the city, we can help you with your design dilemmas. Our mission is to become your go-to company, for your design and renovation needs. To accomplish this, we offer a variety of services. We can work within a fixed budget and tight schedule, to save you time and money. We will also help you define or redefine your style, to reflect who you are. We listen to our client’s goals and needs, and together we will design a beautiful space. Kitchens By Julie is a family owned and operated organization that has extensive experience in all aspects of remodeling and construction. We offer the highest quality cabinets combined with expert design, turn-key installations and the personalized service you require. 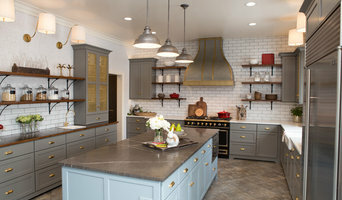 With over 28 years of experience, Julie Loehner, CKD, pays meticulous attention to detail while understanding her clients desire for innovative kitchens. Her pursuit of design excellence takes her client's projects from conception to completion. Elizabeth's philosophy is to live with style, be authentic, be healthy, and enjoy life! Whether you are starting with a blueprint for a custom home or creating a new look for your existing space, we excel at designing a home that is beautiful, functional, and one that emulates your style and taste. 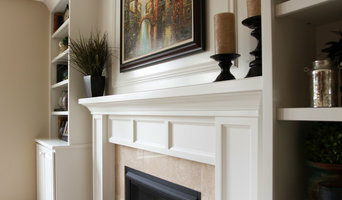 I am an architect who primarily works on historic homes doing restoration work or period sensitive remodeling/additions. I have also designed new homes and light commercial spaces. Carlson Architecture, Ltd. is a multi-disciplined firm with a strong design background in residential and commercial design. We creatively develop solutions to complex programs and space limitations that are aesthetically pleasing and function well. We believe that providing excellent architectural design services relies on constant and clear communication with the client throughout the design and construction process. Accurate determination and documentation of your needs and desires is key to achieving a design that both functions well and is aesthetically pleasing. We offer complete architectural and engineering services, including feasibility studies, space needs assessments, master planning, design, contract document preparation, and construction administration services. LG Construction + Development, headquartered in Chicago, has three distinct, yet complimentary work streams that help us become a one-stop shop for Chicago’s best real estate opportunities. These include residential construction, commercial construction and LG developments. We pride ourselves on providing the resources, expertise and personal commitment to take you through every step of the design build process. LG utilizes the strengths of a well-coordinated project team to seamlessly manage the project from start to finish. Our marketing is in our customers and reputation, and we welcome the opportunity to help transition your dream into reality. We are confident when you meet us you will feel the energy and excitement, and appreciate our LG culture designed to ensure you breathe easy and enjoy the experience from start to finish. At TA we understand that your house may be your single largest asset, but it is much more than just a financial investment – it is the place you call Home. We realize that the effort you put in to improve the functionality and comfort of your home should not come at the heavy price of stress and cost overruns. That is why we try to keep the design process as simple and straightforward as possible. 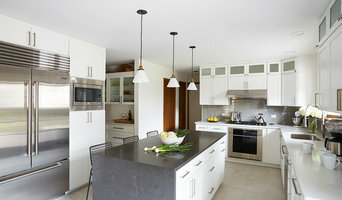 Bobbi Packer Designs is led by Bobbi Packer and has many years of transforming ordinary spaces into peoples dream homes. With extreme attention to detail - Bobbi prides herself on listening to her clients needs and incorporating them into their homes. Contact us today! For 10 years Alexis Nielsen Interiors has been creating beautiful interiors that reflect her clients’ tastes, personality and desires. To her, design is about collaboration - listening to her client’s ideas and bringing those ideas to a beautiful reality. Her successful business is unique in that she combines the basic tenets of home decorating and design with an overlay of feng shui principles. Neri Architects is a renowned full-service architectural firm located in Park Ridge, Illinois. We take great pride in every client and every project, from large to small. Since 1989, we have provided innovative design solutions throughout the Chicagoland area. Our approach to architecture utilizes state-of-the-art BIM technologies in computer software, such as AutoCAD and Revit. Our extensive knowledge of the latest construction methods provides you with a single source of knowledge for the development of your project. With over 26 years of experience, Neri Architects has gained extensive knowledge in both residential and commercial design. Neri Architects is committed to excellence in every aspect of our business. We uphold a standard of integrity bound by fairness, honesty, and personal responsibility. Our distinction is the quality of service we bring to our customers. Accurate knowledge of our trade combined with ability is what makes us true professionals. Above all, we are watchful of our customer’s interests and make their concerns the basis of our business. At Neri Architects, you work directly with the professional team that will lead your project from concept to completion. Together, we create a structure of lasting quality, integrity and beauty. We combine creative skills with technical expertise to deliver innovative solutions. We offer the one-on-one, personalized attention you expect from a team dedicated to your complete satisfaction. Our work reflects both your vision and our high standards.